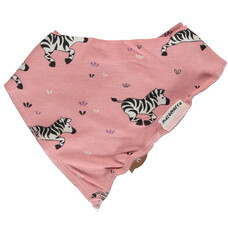 Nice (drool) bib / scarf with zebras. 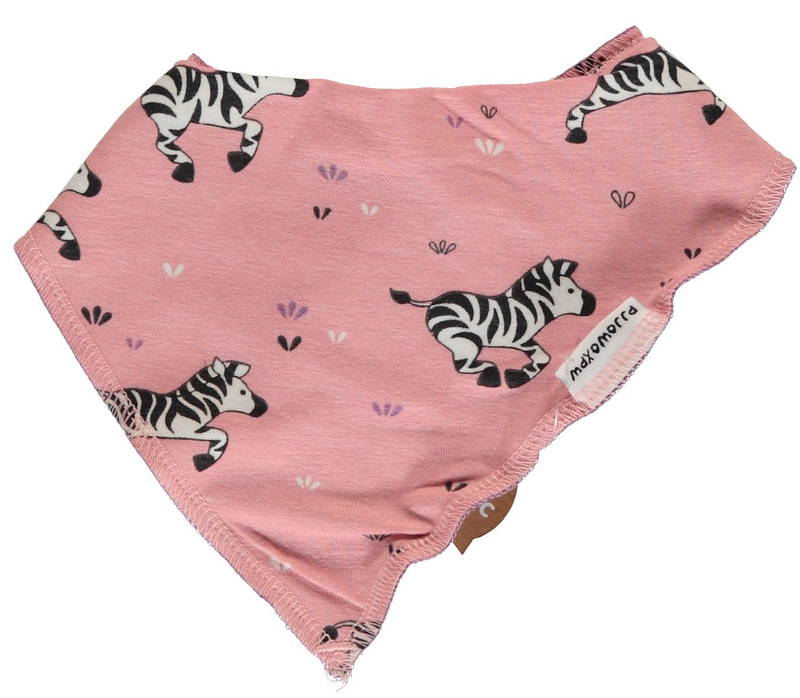 The bib closes at the back with a snap button. The print may differ slightly per slab.